iPad Air 2 to Be Released in October, Updated Retina iPad mini to Come Later? According to what Taiwan's Commercial Times reporters write, the second-generation iPad Air may be introduced as soon as in October. The journalists expect the tablet to enter mass-production in September. 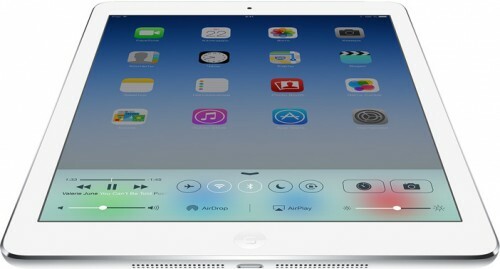 What is even more interesting is that according to the same source, Apple won’t release an updated iPad mini with Retina display alongside the full-size iPad; instead, the guys from Cupertino may show it in the first quarter of 2015. In the second quarter of the next year, we may also see the long-anticipated iPad Pro with a massive 12.9-inch display. While the rumor suggesting the 12.9-inch iPad Pro will be coming in the second quarter of 2015 is in line with previous rumors, there has been no prior indication that second-generation iPad Air and the next-generation Retina iPad mini will see separate launch timelines. Today’s rumor hasn’t yet been confirmed by other reliable insiders, so I suggest that you should take it with a few pinches of salt.